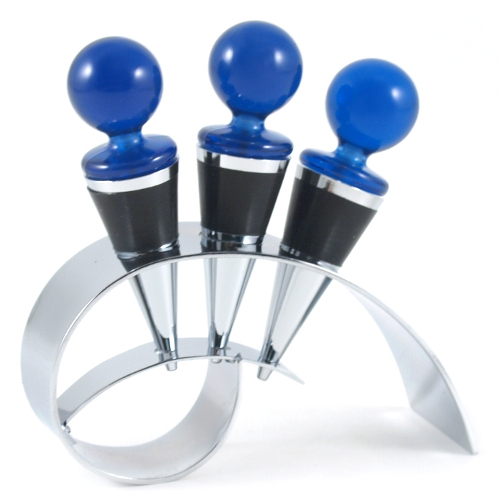 Keep opened wine fresh with the Stainless & Cobalt Wine Bottle Stopper 4 Piece Set. Complete with a stand, the set includes three stoppers with a unique designed gasket to seal bottle and maintain freshness when entire bottle is not consumed. Perfect for the wine lover in your life.